We had a mission from April 11 to 19 in the Kenyan sites of Nakuru, Eldoret and Bungoma. 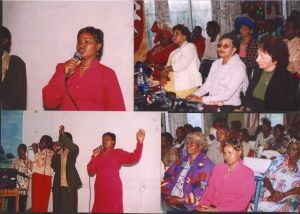 The last photo is Women's Conference in Nakuru. We ministered to pastors, children and crusade. You can email us at rmichurch@hotmail.com.